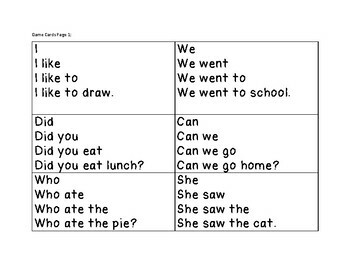 Do you have students that struggle with fluently reading small passages or sentences? Are they reluctant readers that struggle with Assessments on Fluency? This fun game designed for K-2 Learners lessens the anxiety while having fun at the same time. 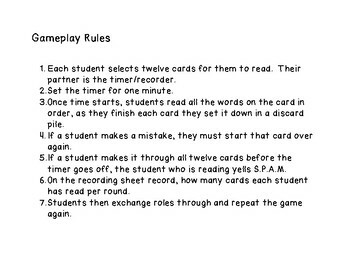 This game can be played one on one with a teacher or another student. 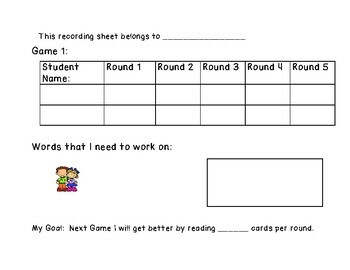 It can also be used for third graders who need interventions to help with their fluency development in reading. 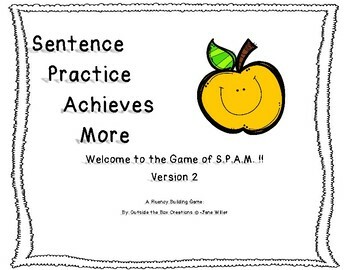 Included in this second version are: 60 game cards, instructions on game play, game suggestions and score sheets to monitor for RTI/MTSS interventions.